A new contact is created with the name, phone, and email address. 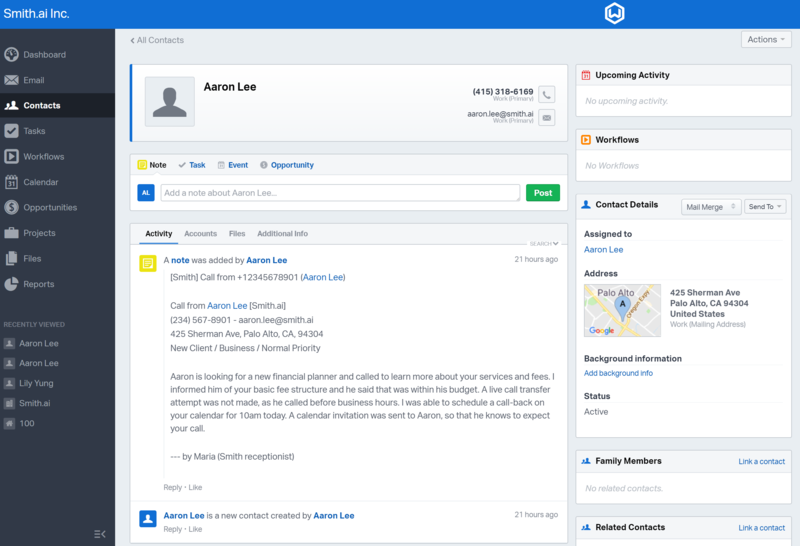 A new "note" is created in a contact's record containing the full text of the post-call summary (for both new and existing contacts). The record creation event and new note appear as activities within the contact's activity timeline. 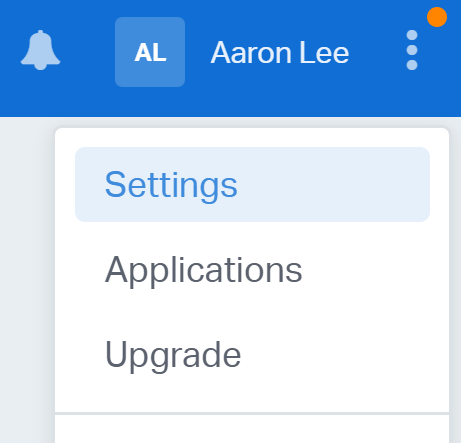 Once this new contact is created, you can add tags, add related contacts, change visibility, and take other actions that best fit with how you want to handle that record in your account. 1. Log in to your Wealthbox account, click on the three vertical dots next to your name in the top-right corner, and go to "Settings." 2. 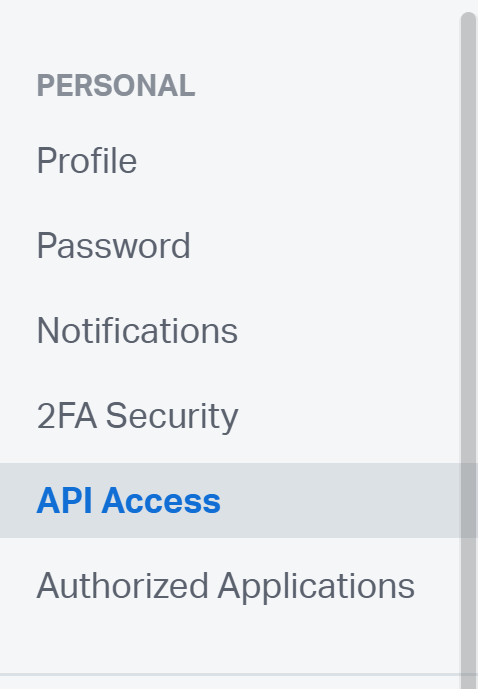 Select "API Access" from the menu on the left, and click on the button "Create Access Token." Label the access token "Smith" and save it. 3. Copy the access token and email it to us at support@smith.ai with the subject line, "Wealthbox CRM Integration." That's it! We'll let you know as soon as the integration setup is complete, typically within 1 business day. Once your accounts are linked, you'll see new Wealthbox contacts and notes added automatically after each call. Please note: CRM integration is an optional add-on service and will incur an extra fee. View current pricing for these and all other add-on services. Not sure how you can best use the Wealth integration with your Smith.ai receptionists? We're happy to discuss implementation options and best practices. Please reach Smith.ai Support Monday through Friday, 5am – 6pm PT / 8am – 9pm ET via phone at (650) 727-6484 or via email at support@smith.ai.